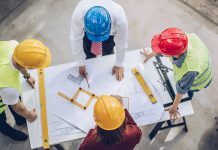 CONSTRUCTION output decreased by 0.3% in Quarter 4 (Oct to Dec) 2018 following a strong period of growth (2.1%) in Quarter 3 (July to Sept) 2018, according to a report published today by the Office for National Statistics. The decrease in Quarter 4 2018 was driven by a 2.8% drop in repair and maintenance, which outweighed a 1.1% increase in new work between Quarters 3 and 4. The biggest contributors to the fall were private housing and non-housing repair and maintenance, which fell by 4.0% and 2.9% respectively. 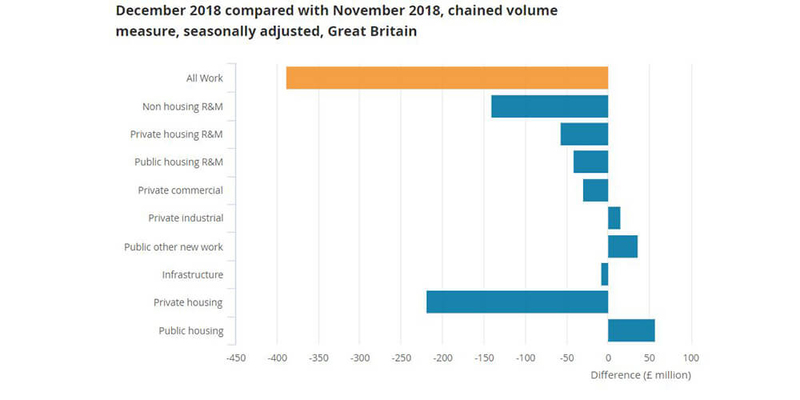 A large decrease in December 2018 can be seen in all work with a fall of 2.8% relative to November 2018. This is the largest fall in growth for all work since June 2012. This decrease in output meant the monthly series finished 2018 £339 million lower than the previous year. Despite this fall, the December period was still £250 million higher than April 2018. Both repair and maintenance and new work saw notable declines in December 2018, decreasing by 5.0% and 1.6% respectively. All subcategories of the repair and maintenance series have seen declines month-on-month; however, the fall is primarily driven by a 5.9% decrease in non-housing repair and maintenance. 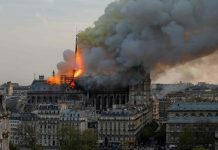 In contrast, new work is almost universally up, with only private industrial new work showing a decline of £22 million. The overall growth is primarily driven by private commercial new work and infrastructure, which grew against their Quarter 3 2018 values by £101 million and £97 million. The graph below shows the difference in month-on-month growth from the different construction sectors. 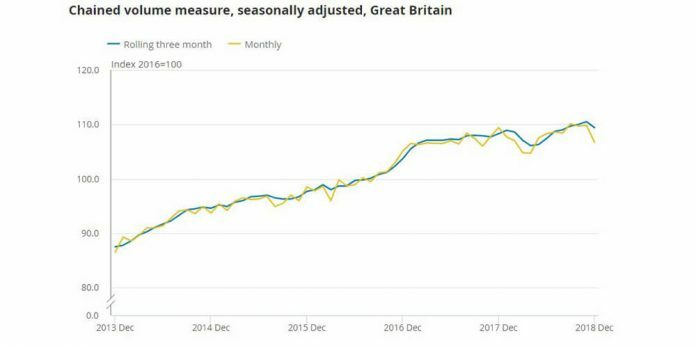 Construction output fell by £388 million in December 2018 relative to November 2018. This was the largest month-on-month fall since June 2012. The largest decline is seen in private housing new work, which fell by £219 million. Against that, public housing new work increased by a comparatively small £57 million. Other new work saw a slight increase, with growth in public new work (4.5%) and private industrial new work (3.7%) being enough to offset falls in private commercial new work (1.2%) and new infrastructure (0.4%). When looking at the total output for 2018 across all months, there was a growth in all work of 0.7% compared with 2017. This is the lowest year-on-year growth since 2012. Despite a relatively flat performance at a top level, individual series have showed strong growth. Examples of this include private housing new work, infrastructure, and non-housing repair and maintenance, which grew by 6.1%, 5.7% and 3.9% respectively. Blane Perrotton, managing director of the national property consultancy and surveyors, Naismiths, commented: “While the final quarter of 2018 can be filed under ‘slowdown’ rather than ‘slide’ – just – such distinctions are moot in an industry which has been stripped of confidence and momentum. 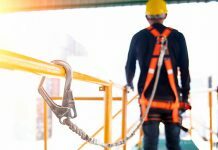 Labour shortages and rising material costs are eating into margins, and intense competition for the little work that is being put out to tender is forcing contractors to bid painfully low.